On this new year’s holidays, I saw Haru, my 2-year-old son, was promoting himself using a very simple method — calling someone’s name. I saw this made his grandma smile. As you see, he doesn’t have anything to say. Just calls and calls someone’s name. Now I’ve learned this super simple method works, maybe I’ll try this when I want to attract someone but don’t have anything to say. 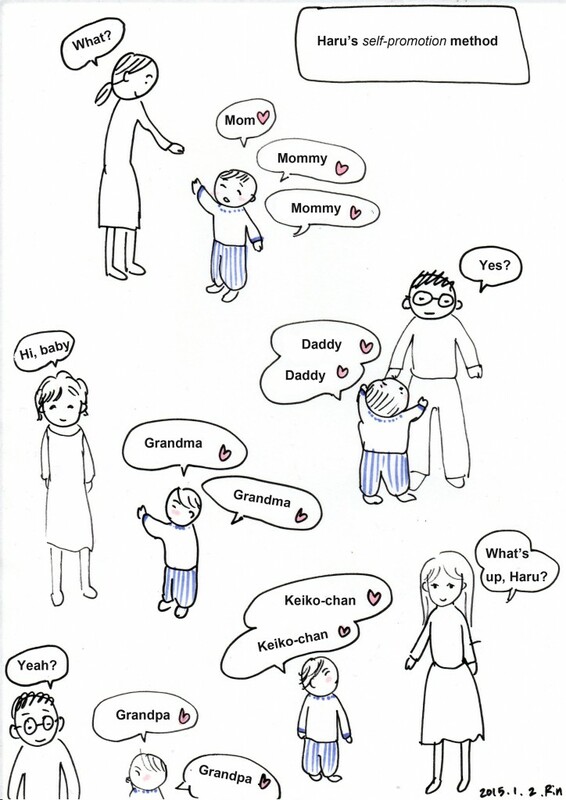 This entry was posted in 04_Second Son (Haru) on 2015/01/08 by mangadiary.